On the 11th and 12th of June the 4th transnational meeting of the REBASING project – REsearch BASed competence brokerING (co-funded by the LLP/Leonardo da Vinci – Transfer of Innovation) has been held at the Tallinn University of Technology. Andrea Huber (SUPSI) presented a survey carried out in Switzerland in order to check whether the broker is a real need and which would be the most suitable profile for the company’s innovation; a sample of 90 firms/persons has been involved. The overview brought out the fact that the innovation broker profile is not yet clear and that it is necessary to strengthen his skills for the identification of emerging trends and the definition of the company organization. 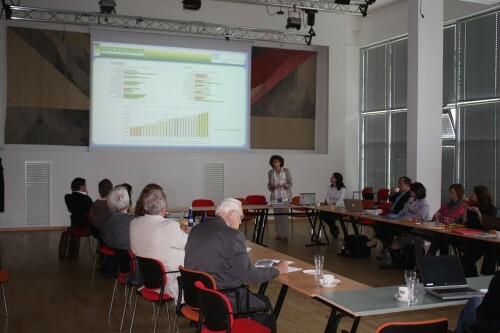 Treviso Tecnologia, Confindustria Veneto SIAV and the August Horch Akademie explained the results of the innovation audits they have undertaken. The Norwegian partner (Bergen University College), which is “transferring the innovation” and is in charge of the profiles validation, confirmed the coherence of the competence analysis implemented during the various audits; however he pointed out that are still missing audit about soft skills, essential element supporting a broker in the identification of company’s needs and proper R&D context for the innovation company purposes. Audit outcomes and the discussion about open innovation networks showed that the type of commitment (public or private) makes the difference. The broker profile’s validation and the exchange of information proved that the profile peculiarity is linked to the home broker’s organization rather than to the home country. On the 12th of June the partnership visited the ELIKO Competence Centre , a brokering organization linking short term product oriented needs and specific competences available within the University. In order to ensure an impact at local level as well as to share remarks and projects outcomes with people not directly involved in the project, an open seminar involved the Federation of Estonian Engineering Industry and the Innovation and Business centre together with the MEKTORY(Modern Estonian Knowledge Transfer Organisation for You).